Would you believe me when I say that this fire pit was free? It didn’t cost a dollar. The sweat and time were the only price for this huge, beautiful fire pit. When we were visiting my sister the other week in Arkansas, we wanted to help her with some projects while we were there. 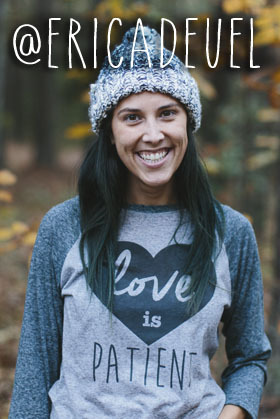 She had on her to do list to build a fire pit. 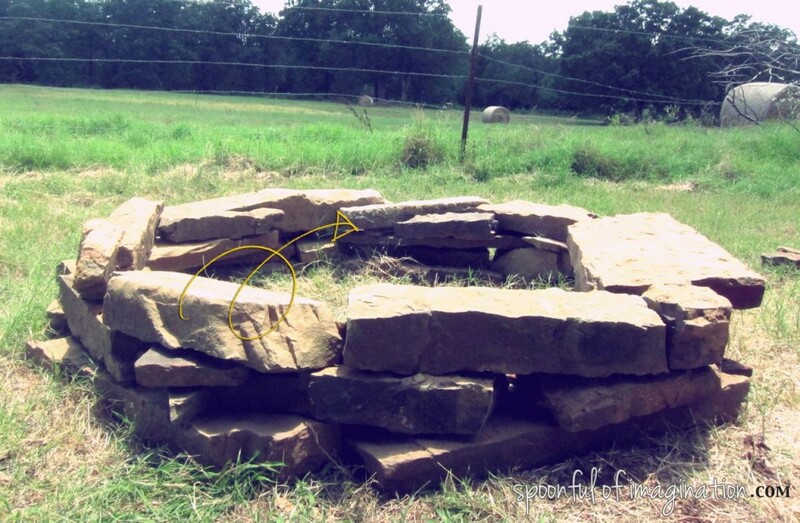 We literally found all these big rocks on her property and carried and carted them over to where she wanted her fire pit built. 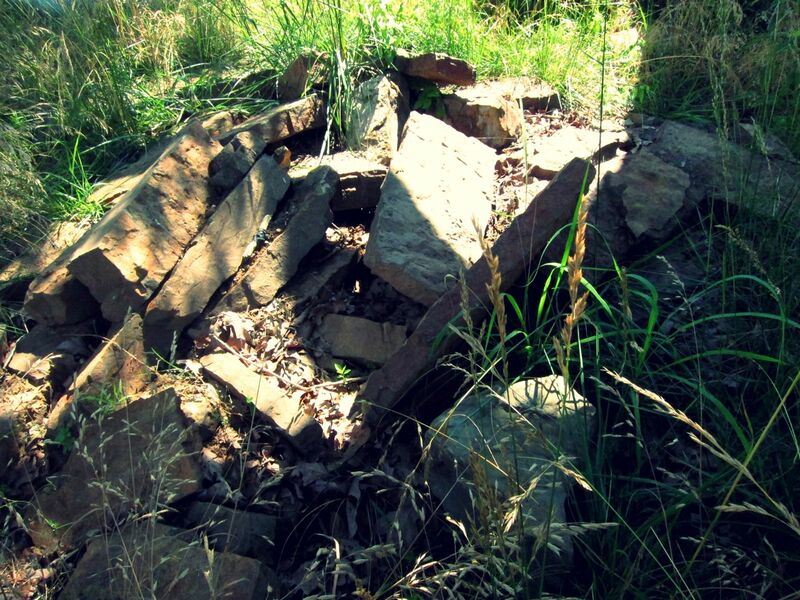 I wish I had huge gorgeous rocks like this lying around on my property too, don’t you!? Of course, we had some really excited helpers that wanted to be apart of this project. 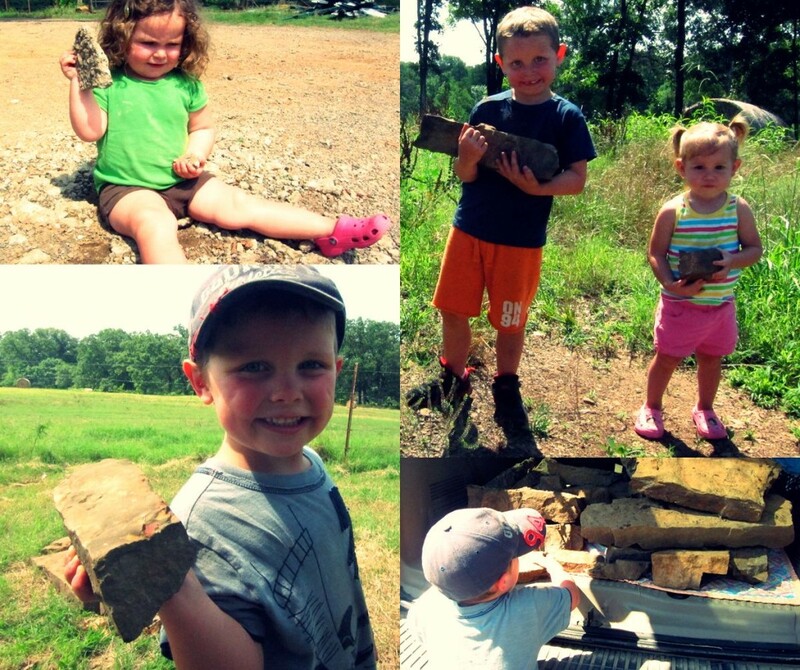 Lucky for us, we did need some smaller rocks so they were quite helpful and of course good company. 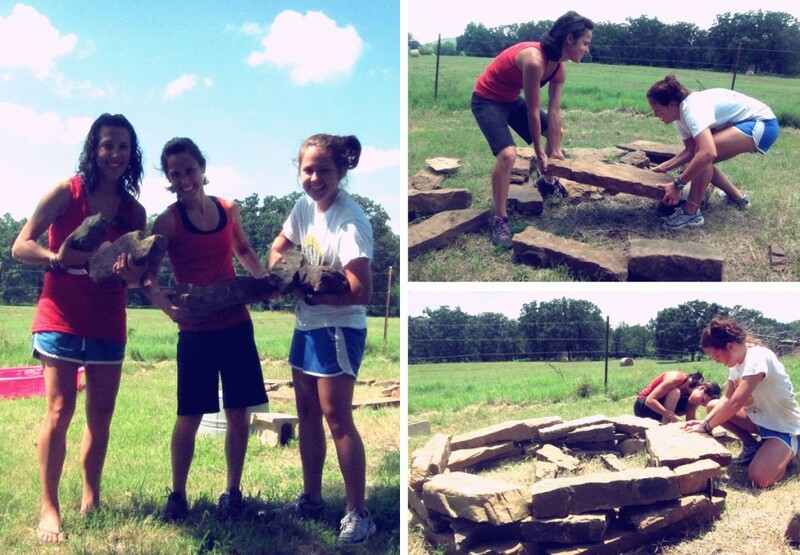 The first step was to create the base size/structure of the fire pit by laying down the first round of rocks. My sister, Olivia, made it bigger than I was expecting, but I love it! I wouldn’t have thought to make such a huge fire pit, but it fits her property and land perfectly. This fire pit is easily four sizes larger than those metal circle pits they sell at hardware stores that I am use to seeing as fire pits around these parts. We decided we thought about three rows of the big rocks would look the best. 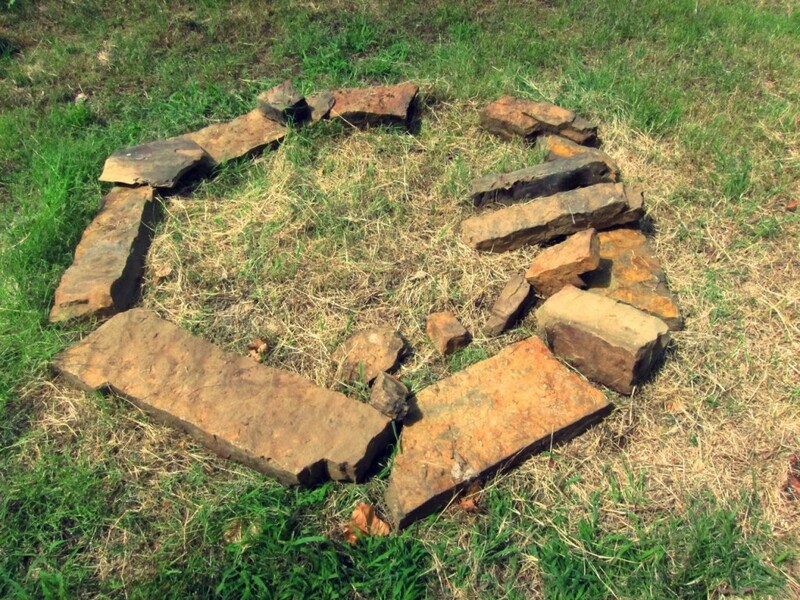 It then became a puzzle of aligning the rocks and placing them in the best way to create a circle rock wall with as level/sturdy foundation as possible. After we got the rock wall in the shape and height we wanted, we inserted some of the smaller rocks into niches to create the most sturdy base as possible. What we wanted to prevent was any one siting or standing on the fire pit (when it’s not in use) and it tumbling over. The last step was to test it out! I loved building the fire and watching the grass inside the pit immediately spread and burn away. The rocks kept the fire in though, so it worked. 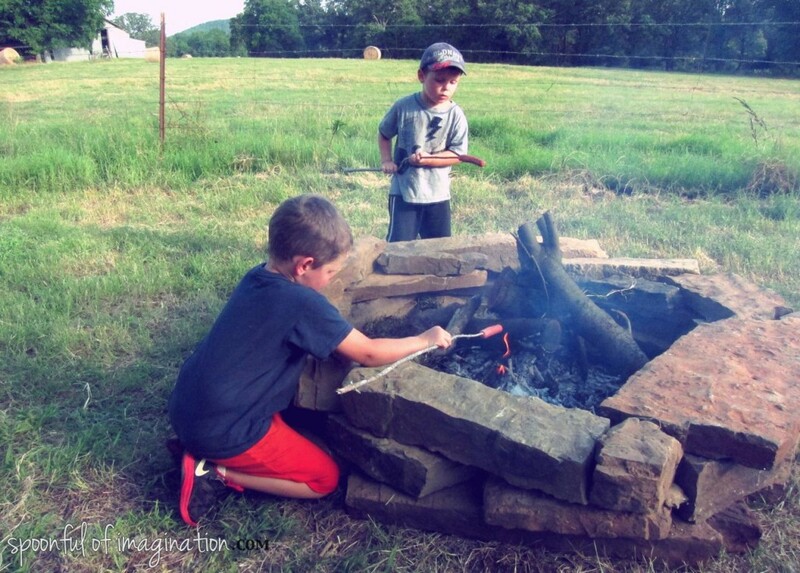 We had dinner grilling hot dogs and smores over the new fire pit to enjoy our hard work. You might not have free gorgeous rocks on your property either, but would you build a fire pit out of rocks instead of buying a premade one? I know this project is now on my to do list for my home! 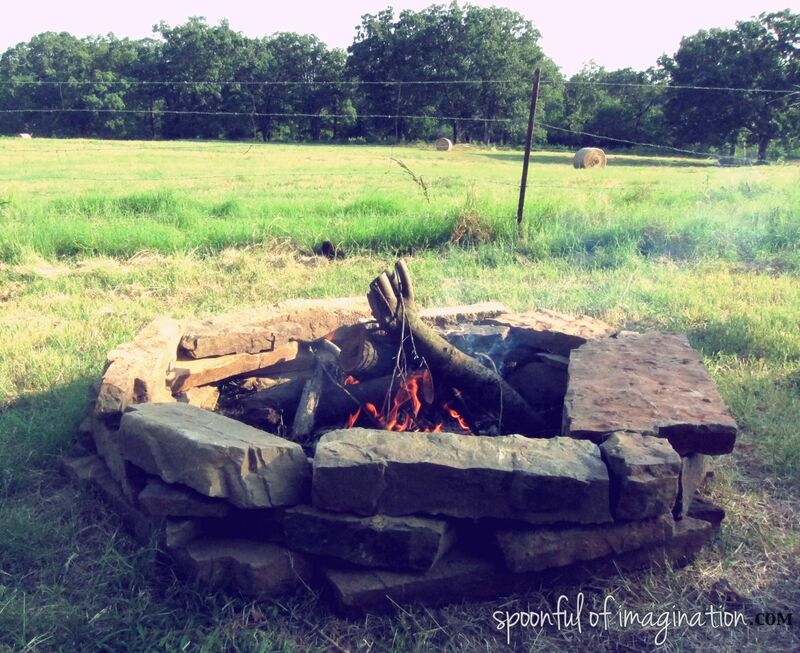 To see more pictures of this fire pit in use and of our trip to Arkansas you can go read about the beauty of country living. Thanks so much for stopping by! I’m loving reading all your posts about your trip. Both my Grandparents had farms and they were such an awesome experience from my childhood. 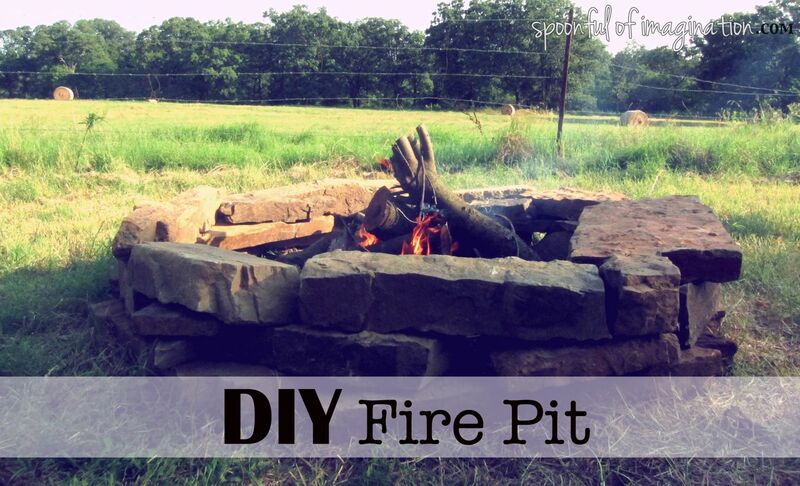 I am dying to build a firepit as well in our back yard!